Mirrors4cars now offer complete car and truck mirror assemblies. Mirrors4cars has been operating now for over 20 years on Australia's Queensland Gold Coast and because of this we have templates for most cars, vans and 4 x 4's on the road today with most models dating back to 1985. Our knowledge of car mirrors is extensive and if we do not have your template we can cut a mirror from your existing housing. Mirrors4cars supply car and truck mirrors through their unique "Do It Yourself" (DIY) kits every day to all parts of the world. with a Next Business Day Express Post delivery service around Australia & New Zealand we can have your vehicle repaired in no time. Mirrors4cars operate a "Supply & Fit" service between Queensland's Sunshine Coast, Brisbane, the Gold Coast and Tweed. We are a mobile service and will cut, and fit your new mirrors on site, at your home or workplace. We can also post your replacement mirror to you for a DIY including a complimentary installation video instructions. We have been selling across the world for the past 32 years and success with quality product is our experience. Since 1999 we have successfully delivered first grade commercial products to retailers and consumers in all continents of the world. 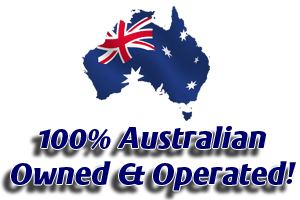 Owned 100% owned by Australian families, Maxxeshop also operate Maxxeweb.com a world class website design and hosting service targeted at small to medium business and Smallimports.com a supply and sourcing business with offices in Hong kong and Mainland China finding and managing the supply chain from manufacture in China to delivery to our clients around the world..